It’s no fun being an only child, fondled and fussed over, the sole surviving son of seven children. Don’t stand here. Don’t go there. Don’t eat this. Don’t drink that. Wear a hat. Button your collar. Keep your hands warm. Blow your nose. Ah me, it’s no good being an only son – and a rich man’s son at that. My father, you see, was well off. A moneychanger. He went from store to store with a bagful of coins. Exchanged silver for coppers and coppers for silver. That’s why his fingers were always black and his nails chipped. He worked very hard. Every day he came home tired and run-down. Failing him? Possibly. But, on the other hand, he had a good business. That’s what everyone said. And everyone was green with envy that we made a living, and such a good one, too. Mama was very pleased that we were well off. And so was I. “What a Passover we’re going to have! May all Jews have such a Passover, dear God!” Mama said. She thanked God for the fine festival we were going to have. And so did I, anxiously awaiting the arrival of this happy holiday. Passover finally came. That dear, lovable holiday. I was dressed like a king, as befits a rich man’s son. But what good did it do me if I couldn’t race around outside, for I was prone to catch cold? If I couldn’t run around with the gang of poor boys, for I was a rich man’s son? I had such nice clothes. And no one to show them off to. A pocketful of nuts, and no one to play with. It’s no fun being an only child, fondled and fussed over, the sole surviving son of seven children. And a rich man’s son at that. Was I out of my mind? Going to sleep before the seder? Thank God Papa finished the Kiddush, so Papa drank the first cup. So did I. Filled to the brim, too. Down to the last drop. So, naturally, I fell asleep. I dozed off and dreamed that Father was already reciting “Pour out Thy wrath.” Mama was getting up to open the door and welcome Elijah the Prophet. How nice it would be if Elijah appeared with a sack on his back and told me to come with him! Just like Mama said. I turned to the door. Yes, it was he. He was coming. He was coming. Slowly. You could hardly hear him. Elijah the Prophet, he was a good-looking Jew. An old man. With a curly, grey beard reaching to his knees. His face was yellow and wrinkled, but infinitely kind and beautiful. And his eyes – oh, what lovely, friendly eyes! Gentle, loving, faithful eyes. With a sack on his bent back, he leaned on a huge staff and silently walked toward me. “Well, little boy, hop into my sack and let’s go,” the old man said sweetly. “You’ll see later,” he replied. I didn’t want to go, and he repeated his request. “How can I go with you? I’m a rich man’s boy,” I pleaded. “I’m their only son,” I said. “I don’t consider you an only son,” Elijah said. Having said this, he stepped away from me, to face the door. What to do? If I went with the old man to God knows where and disappeared, my parents would die. I’m an only child, the sole surviving son of seven children…. But to remain here fast asleep forever meant that I would die. I stretched my hands out to him and said with tears in my eyes, “Elijah the Prophet. Dear, beloved, wonderful Elijah. Give me one minute to think it over.” He turned his fine, old, yellow and wrinkled face to me. And the old man with the knee-length, curly, grey beard leaned on his huge staff and waited. Now I ask you. What should I have done during that minute to avoid going with the old man and yet not remain asleep forever? Well, go ahead and guess! Curt Leviant’s most recent novels are King of Yiddish and Kafka’s Son. How fast time flies. Passover is almost here again, and it’s time to prepare a new tutorial, I said to my 7-year-old daughter while getting out a magic box with colorful modeling clay. At school, we are reading a lot about Passover right now, she said to me. When the Jewish people crossed the dessert, they had camels with them, who carried people and their belongings. 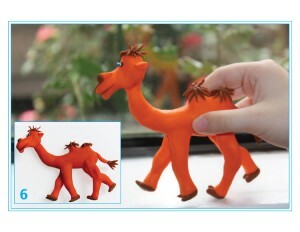 Mom, can you teach me how to model a baby camel? Please, mom, can you? Of course I can, my dear. Come over here, I said, inviting my daughter to join me at the table to work on the model of a baby camel. For the young readers of Jewish Independent, as always, I have prepared pictures to demonstrate the process. Find yourself a comfortable seat and start working on your creation! 1. Take a few pieces of modeling clay and a toothpick. Mostly we will work with orange color, but we will also use some brown, white and black pieces. 2. 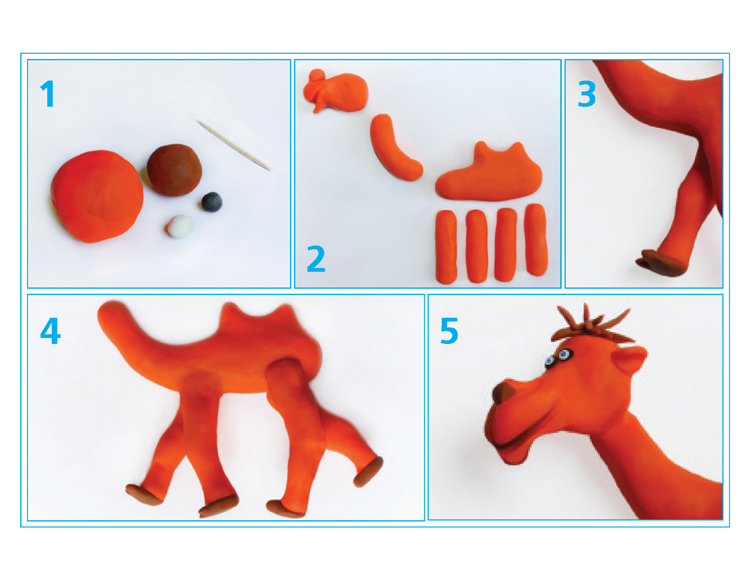 Prepare equal amounts of clay to form the baby camel’s head, neck, body with two humps and four legs. 3-4. Bend the legs a little in the middle and finish them with brown cushion-like hooves, perhaps parted in the middle front. Connect the neck, body and hooves. 5. For the head, you can use white and black pieces of clay for the eyes. Or blue or green clay, if you have it. Take some brown clay and shape the nose and also give your camel a tuft of hair on top of its head. 6. Cover the tips of the humps and tail with tufts of hair as well. We have made our baby camel! You can now take your new little friend for a walk. Isn’t it great to make toys with your own hands? You will also make your family happy by adding your creation to the Passover seder table. If you take a picture of your baby camel and print it, you will have a real postcard. Let your imagination guide you and join our art lab! Send photos of your artwork to [email protected], and you may have a chance to win Curly Orli Goes to Vancouver, a book illustrated with clay pictures. 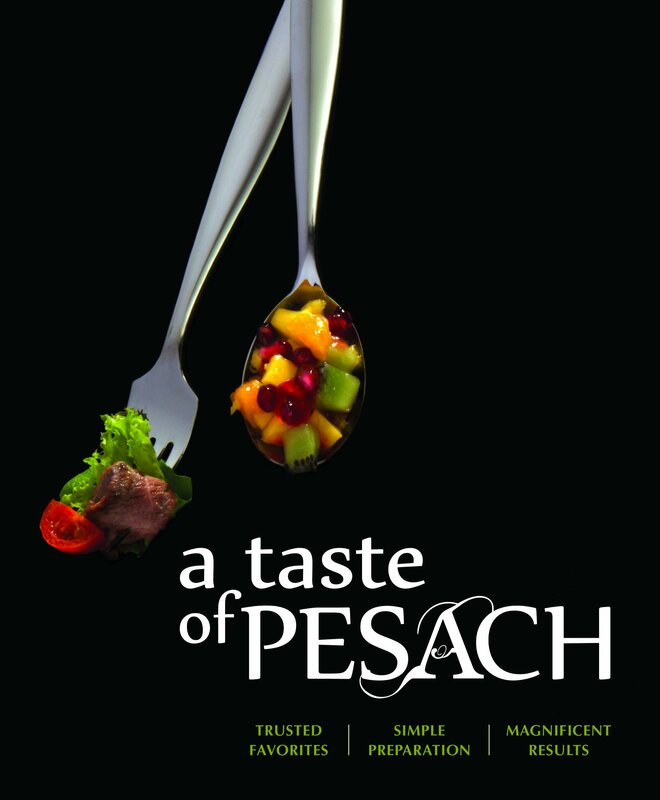 Wishing you a kosher and happy Pesach, dear friends! See you next time. Shoyer, of course, is famous for her baking. Bestselling The New Passover Menu joins her dessert bestsellers The Kosher Baker: Over 160 Dairy-Free Recipes from Traditional to Trendy and The Holiday Kosher Baker. She is a contributing editor to several kosher websites and cookbooks, as well as magazines, and is also a consultant for kosher bakeries and companies. She is no stranger to the Jewish Independent, as an internet search will show, and so it was with excitement that we received her latest cookbook. It lays out full menus for the two seders, as well as a Shabbat and Yom Tov menu, and menus for the holiday week, including lunch suggestions. There are several breakfast options and, of course, a lengthy list of dessert choices. There is a chart of Passover cooking and baking substitutes, and a brief discussion of the holiday and its preparations (removing chametz and kashering the kitchen). Shoyer shares some memories of her seders past, and this leads into a description of the Passover table, the seder plate and its symbolic items, matza, salt water and wine. Each recipe includes the preparation time, cook time, what items can be prepared in advance (and how long in advance) and all the equipment that will be needed. A brief paragraph accompanies each recipe, either a personal story about it or advice on cooking with some of its ingredients. It was hard to narrow the selection of which recipes I would try. Since one of my taste testers is vegetarian, I shied away from such tempting creations as Seared Tuna with Olives and Capers with Kale Caesar Salad, and Moroccan Spiced Short Ribs. I opted instead for one main dish – eggplant parmesan – and something unique (and easy to make and transport) that I could bring to my host’s seder – banana charoset. The New Passover Menu emboldened me in a couple of ways. First, I felt confident to adapt right from the beginning. So, for example, while Shoyer did not call for the eggplant slices to be sprinkled with salt and let sit for awhile to reduce their potential bitterness and bring some of their moisture to the surface (which I dabbed away with paper towel), I did it just in case. The recipe lists tomato sauce but, not wanting to buy or make any – as so many bought brands contain a lot of sodium and to make my own sauce would have been one more thing to do – I used a can of crushed tomatoes and added garlic powder, oregano and pepper to it, ingredients already included in the recipe. Finally, Shoyer offers a frying and a baking method for the eggplant slices, and I picked a middle version: I coated the slices as if for frying but then baked them, drizzling a little olive oil over them once they were laid out in the pan. As for the banana charoset, I kept to the recipe for the most part, only adding more wine than recommended to brighten it up. I think the banana I selected for the mixture was on the too-ripe side. One thing to note with the charoset is that it tasted even better the next day, so I’d make it in advance if possible. The bold part of this recipe is that I pretty much insisted on bringing it to a seder once I’d tasted it. The following recipes are reprinted from the cookbook, so the “I” and “my” from here on refers to Shoyer. Enjoy! Serves: 12–15. Prep time: 10 minutes. Cook time: 20 minutes to fry eggplant; 35-40 minutes to bake. Advance prep: may be assembled one day in advance, fully baked three days in advance, or frozen; thaw completely before reheating. Equipment: cutting board, knives, measuring cups and spoons, two shallow bowls, large frying pan, nine-by-13-inch baking pan, silicone spatula. Eggplant parmesan is one of my favorite Italian dishes. It is best made by my brother Adam Marcus, who has paid his rent for occasionally living with us by lovingly making his master version of this dish with a homemade sauce. Although I try to avoid frying foods (except for doughnuts and chicken once a year), I find that eggplant parmesan tastes better made with breaded and fried eggplant slices. If desired, you can grill the slices in the oven until fork-tender and then layer and bake as described below. If you go the healthier route, sprinkle the oven-roasted slices with some garlic powder, salt and black pepper. Depending on the size of the eggplants, you will end up with two or three layers in the pan. Place a large frying pan on the stovetop and add 1/3 cup oil. Pour the beaten eggs into a shallow bowl. In another bowl, stir together the breadcrumbs, garlic powder and oregano and season with salt and pepper to taste. Heat the oil over medium-high heat. When the oil is hot, fry the eggplant slices in batches, browning both sides, until fork-tender, about 10 minutes per batch. Transfer to a plate covered with paper towels. Add more oil to the pan between batches if the pan gets dry. Using a silicone spatula, spread about 3/4 cup of the tomato sauce in the bottom of a nine-by-13-inch baking pan. Place one layer of eggplant slices on top. Sprinkle with one cup of the shredded cheese. Cover with a second layer of eggplant. Pour another 3/4 cup sauce on top and use the spatula to spread the sauce on top of the eggplant pieces. Sprinkle with one cup of the shredded cheese. If you have more eggplant slices, place them on top, then add some tomato sauce and more shredded cheese. Sprinkle the parmesan all over the top. Cover the pan tightly with aluminum foil and bake for 35 to 40 minutes, or until the eggplant layers are heated through and the cheese is melted. If you assembled the dish in advance and stored it in the fridge but did not bake it, bake for an extra 20 minutes. Makes three cups (serves 25 for seder). Prep time: 10 minutes. Advance prep: may be made three days in advance. Equipment: cutting board, knives, measuring cups and spoons, food processor, box grater, silicone spatula, small serving bowl. Charoset is the element on the seder plate that represents the mortar used by the Israelite slaves to build bricks. 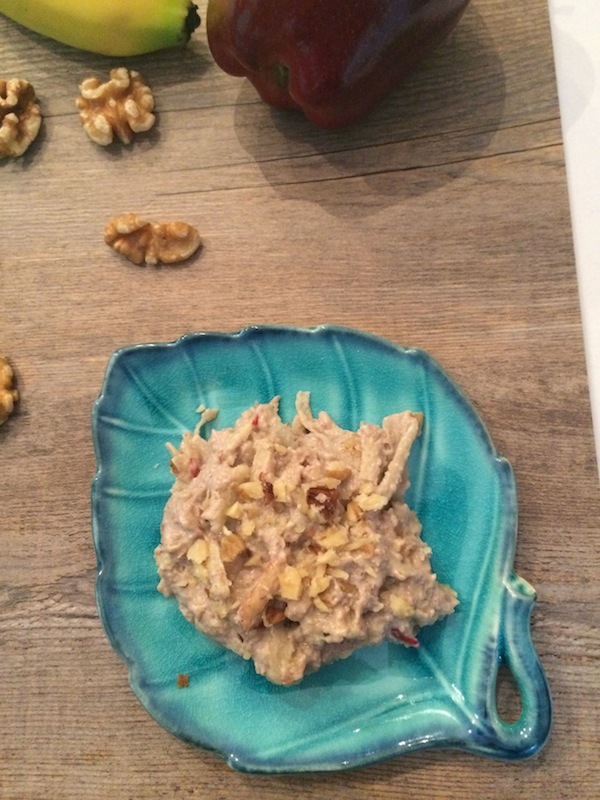 Growing up, I had seders almost exclusively at my parents’ house or a handful of other relatives’ homes, and everyone made the same charoset: walnuts, apples and sweet wine all smooshed together. It was only when I began hosting my own seders that I discovered a wide variety of charoset recipes from every corner of the world where Jews have ever resided. This recipe comes from my friend Melissa Arking, who is a fabulous cook. I added chopped walnuts at the end for some texture. You can buy nuts already ground, with the skin or without. I have a coffee grinder dedicated to grinding nuts. You can also use a food processor, as long as it can reduce the nuts to a fine grind, almost like a powder, when you need almond flour for baking. If you grind nuts for too long, you will end up with nut butter. In the bowl of a food processor fitted with a metal blade [a hand blender also works], place the bananas, ground walnuts, sugar, cinnamon and wine. Process until the mixture comes together. Transfer to a small bowl, add the apples and chopped walnuts, and stir to combine. 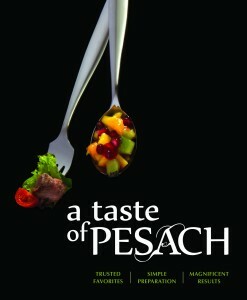 After the sedarim, by midweek, you may be looking for some creative ideas for Passover dinners. Here are three dishes I frequently serve. A mina is a traditional Sephardi savory layered pie, which is a great way to use up leftover chicken. In Spain and Turkey, it is called mina; in Egypt, maiena or mayena; in Algeria, meguena; and, in Italy, scacchi. The pie is also popular among Jews from the island of Rhodes and Yugoslavia. A tagine is a North African, slow-cooked savory stew, named after the earthenware clay cooking pot, whose base is flat and circular with low sides. The cover is cone or dome shaped, which traps the steam and returns the condensed liquid to the pot, thus requiring very little liquid when cooking. In a chicken tagine, vegetables or dried fruit, nuts and spices are added. Finally, leek patties known as kyeftes de prasa in Ladino, kifte in Turkish, keftas or keftes in Greek, are popular among Mediterranean Jews for Passover. I like to add chicken to mine. Preheat oven to 350˚F. Grease a rectangular or oval baking dish. In a bowl, combine chicken, scallions, parsley, mint and dill. Add two eggs and blend. In another bowl, combine three eggs, tomato sauce and nutmeg. Place matzot in bottom of a deep dish. Pour enough chicken soup to soften, about three minutes. Place two matzot in greased baking dish. Brush with olive oil. Spread half the chicken filling on top. Add two more matzot, brush with oil and spread rest of chicken filling on top. Top with remaining two matzot. Pour tomato sauce on top. Bake for 45 minutes. Cut into squares to serve. Place matza meal in a shallow dish. Dip chicken pieces in the meal. Heat oil in a soup pot. Add chicken and brown. Add onions, chicken soup and dried fruit and simmer until chicken is cooked. Add cinnamon, ginger, lemon juice, lemon peel, and almonds. Simmer another 20 minutes. Place cut-up leeks and onions in a saucepan with water, bring to a boil, reduce heat and simmer 30 minutes. Drain and chop. Add chicken, eggs, 1/2 cup matza meal, mashed potato, salt and pepper and blend. Place egg in one shallow bowl and additional matza meal in the second bowl. Take chicken mixture and make into patties. Dip into beaten egg then in matza meal for coating. Refrigerate for awhile at this point if serving later. Before serving, heat oil in a frying pan and fry until patties are brown on both sides. Drain on paper towels. During the holiday of Passover, we are told not to eat leavened bread (chametz). The leavening of bread is caused by yeast, a single-celled fungus. The yeast induce a chemical reaction called fermentation, which converts water and sugar into alcohol and carbon dioxide. The bubbles of carbon dioxide gas produced during this reaction cause the bread to rise and become porous, ultimately resulting in delicious fluffy bread. The close relationship humans share with yeast is truly ancient, and predates humanity itself. Since fungi lack mobility, it had often been assumed that they were more plant-like than animal-like. But genetic studies in the 1990s revealed that fungi are actually more closely related to animals than to plants. The common ancestor that animals and fungi share would have probably been single-celled, and resembled in many ways our friend the yeast. So we can consider them very distant cousins (not invited to the Passover seder). Fruit are an important part of the diet of all apes, including humans and their ancestors. A ripe sweet juicy fruit is full of sugar and water, the key ingredients for fermentation. There are many different varieties of yeast that are found commonly all over the world, on the human body, in the soil, and often on the skin of fruits. Fermentation of ripe fruits due to the presence of such yeast is common in nature, and would have inevitably been eaten by the ancestors of humanity for millions of years. Primatologists have observed various species of monkeys getting drunk off such naturally fermented fruit. To explain this puzzling phenomenon, biologist Robert Dudley at University of California-Berkley formulated the “drunken monkey” hypothesis. Fruit evolved as a means for plants to use animals as a method of seed dispersal; however, if the fruit rots before it gets eaten, the seed doesn’t get dispersed. Alcohol is a volatile molecule, which means it floats around the air very easily. If a fruit begins to ferment, the alcohol molecules spread much further and faster than the smell of the fruit would on its own. Animals, such as monkeys and apes, can, therefore, smell from a greater distance that there is delicious fruit, helping them find and eat the fruits, and thus helping to disperse the seeds of the plant. It is an evolutionary relationship that benefits the plant, the yeast and the animal, a win-win-win scenario. Moderate consumption of alcohol is in fact healthy and nutritional. Alcohol contains more calories than either carbohydrates (sugar) or proteins. Let us remember that calories were integral to survival before the obesity epidemic of the modern age. Alcohol can also protect against many diseases, especially cardiovascular diseases. Studies have even shown that people who consume alcohol in moderation live longer than those who don’t. Despite the many dangers associated with excessive alcohol consumption, the low doses normally consumed in nature ultimately may have provided a survival advantage to the ancestors of humanity. The first civilizations arose in part due to intensive cereal agriculture. These cereals were used to make bread and beer. In Mesoamerica, they made a beer from corn, in China with rice and, in Mesopotamia and Egypt, they used barley and wheat to make beer and bread. These innovations that played an integral role in the building of civilization were thanks to yeast. The first writing system ever developed was Cuneiform, in Mesopotamia during the third millennium BCE. Among the first written records in history are references to the production, distribution and consumption of beer. Some scholars suspect that the Jews acquired this beer brewing knowledge during their exile in Babylon. The Hebrew word for drunk, shikur, is thought to be derived from the Babylonian word for beer, shikaru. However, if the story of Passover is to be believed, then perhaps the ancient Israelites brought the knowledge for beer making from Egypt. Wine, an essential component of any decent Passover seder, also has an ancient history. The earliest evidence for intensive wine production can be found at the archeological site of Hajji Firuz Tepe in modern-day Iran, which has been dated to sometime around 5400 BCE. Genetic analysis corroborates that strains of wine yeast originated in Mesopotamia, but put the date back 10,000 years ago. Some archeologists have speculated that the strains of yeast used for making bread and beer originated from wine yeasts, however the evidence for this remains contentious. Wine and beer were both produced in Egypt, and were important culturally, religiously and medicinally, and Egyptians would bury jars of wine in the tombs of the pharaohs. Analysis of DNA found inside ancient Egyptian wine jars from the tomb of a pharaoh from 3000 BCE identified the same species of yeast used to make wine today: Saccharomyces cerevisiae. If there were indeed Jewish slaves in Egypt, they would have eaten bread and drank beer and wine, leavened and fermented by the same fungus that we use to leaven bread and ferment wine today; a little old friend that has joined us on our long journey through the vast deserts of time. L’chayim. Ben Leyland is an Israeli-Canadian writer, and resident of Vancouver.